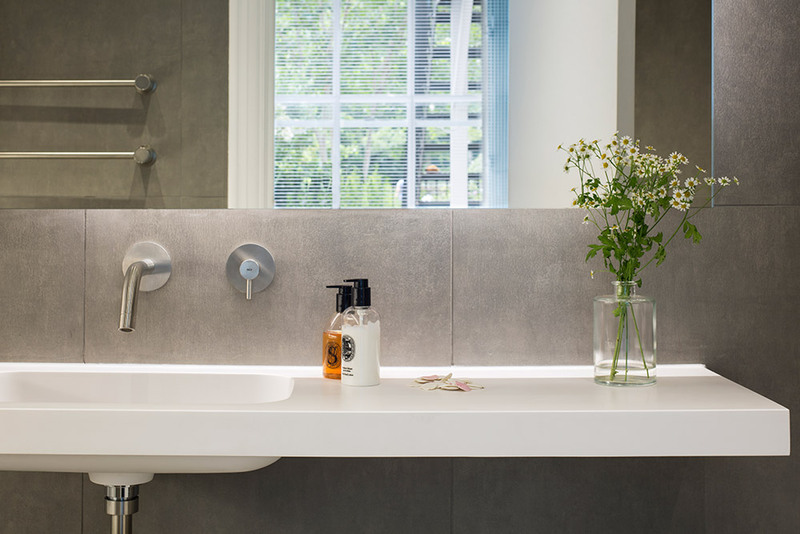 DHaus was invited by one of our favourite clients to redesign two bathrooms in her incredible house set in the picturesque location of little Venice (London). 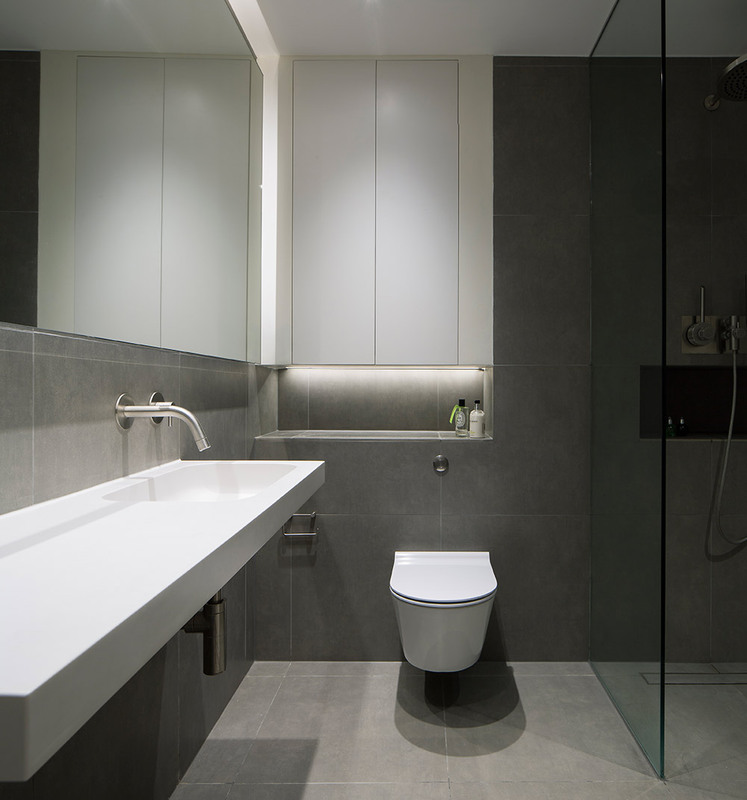 SO it was a huge honour to be and also a lot of pressure to deliver and work on a house that was steeped in such design history. 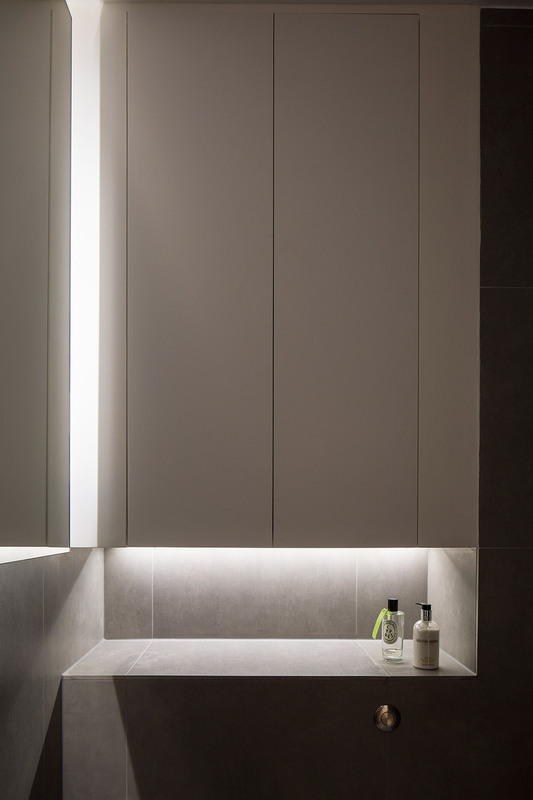 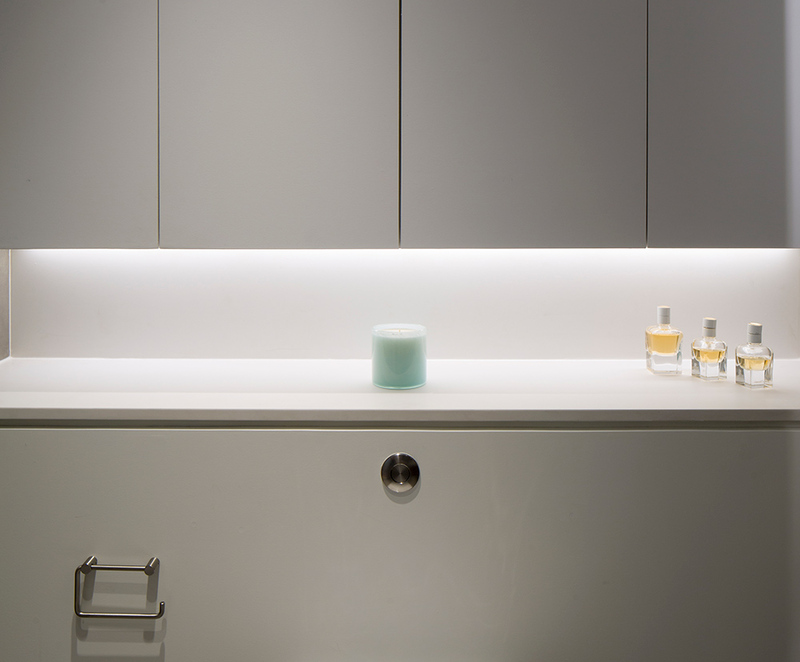 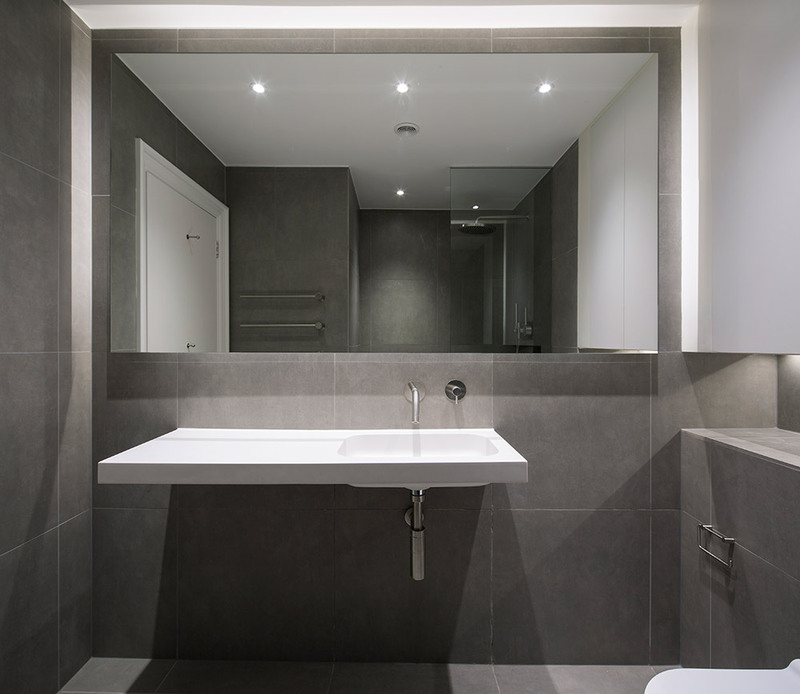 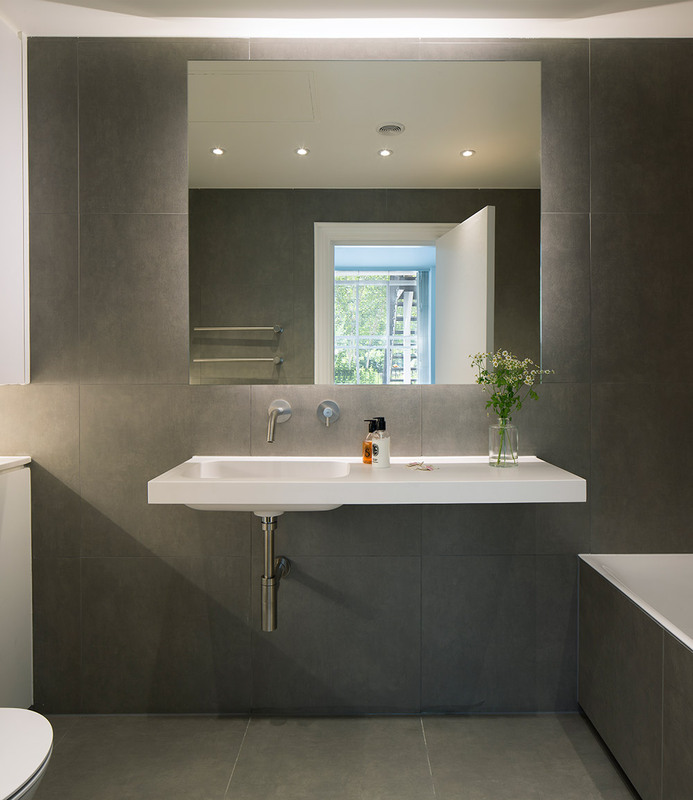 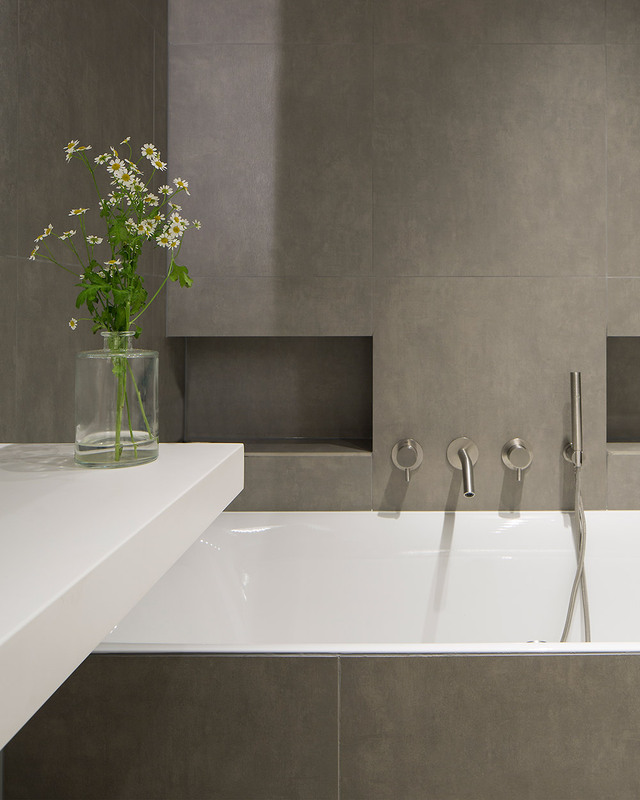 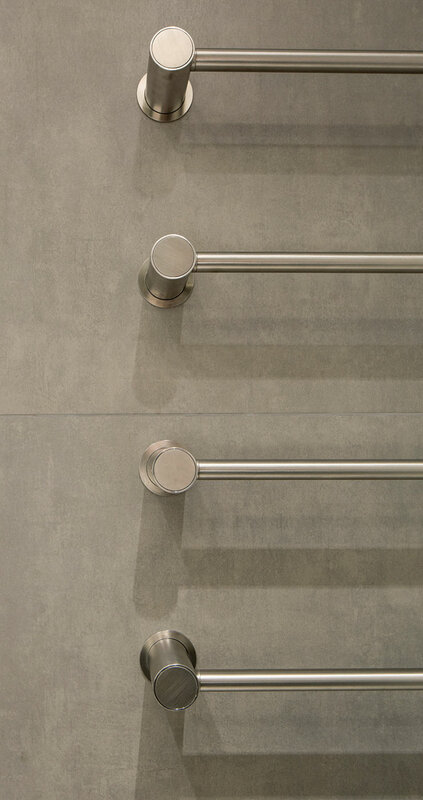 The Bathrooms were dated and the clients brief was that she wanted to have a clean minimal design with the hotel bathroom feel, This was achieved through a simple material pallet of glass concrete and soft lighting as well as some beautiful sanitary fittings to a high-end specification. 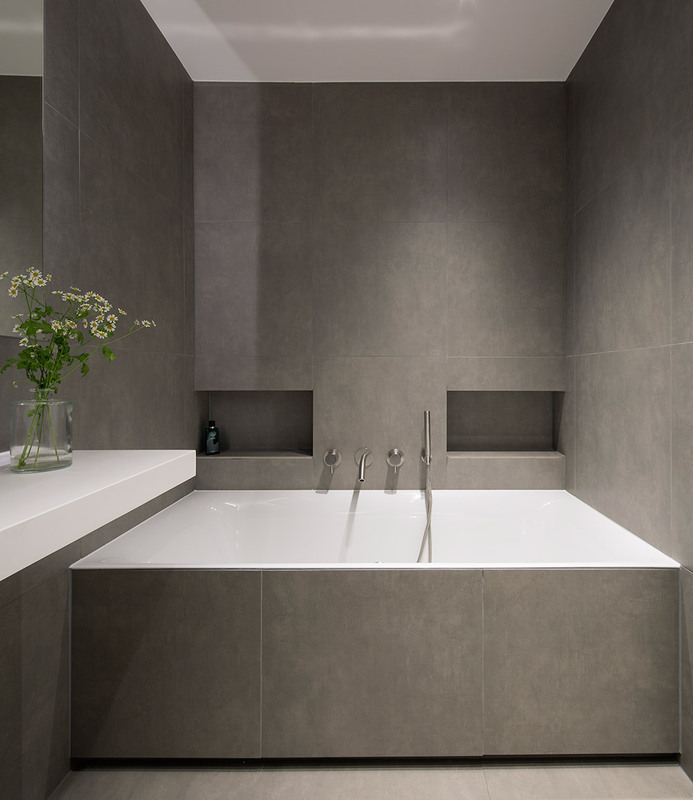 We created deep niche’s that play with the weight and depth of the spaces and paid a huge amount of detail to the geometry’s of the tile layout, Everything was built and tested in 3d programs first to ensure the client was happy with the direction of the design.